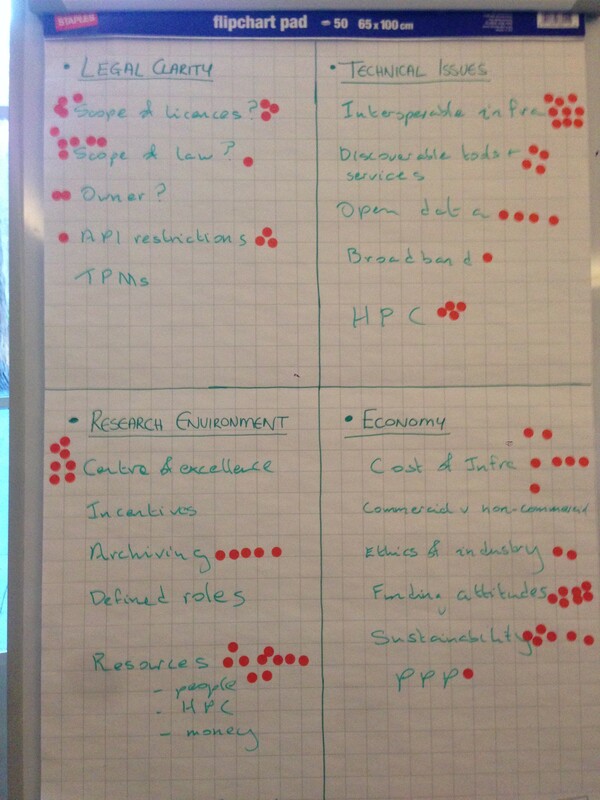 On Monday 29 February we held our first FutureTDM Knowledge Café in the beautiful city of Leiden, the Netherlands. The event kicks-off a run of informal talking shops where participants can discuss data (over cake!) and give feedback on the core themes running through our project. FutureTDM wants to address the issue of TDM uptake. By getting out there and meeting with the varied content mining stakeholder community across the EU, we want to better understand the barriers that they face. Leiden didn’t disappoint us! We held the event in collaboration with the Leiden Centre of Data Science and in doing so many of the attendees were researchers from a variety of fields with a TDM understanding and involvement. Getting input from these grass roots of TDM seems a fitting start to our Knowledge Café road show. The event was opened by the LCDS and we had some presentations – including a live content mining demonstration, from consortium partners Peter Murray-Rust (Content Mine) and Susan Reilly (LIBER) to give us food for thought. 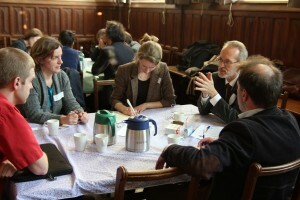 Then began the Knowledge Café. We moved around four tables, talking about our experiences of TDM barriers in relation to legal clarity, economy, technical infrastructure and the research environment. Our facilitators under the “Chatham House Rule” took copious notes. These will be fed into the project reports and recommendations. Key themes were pinned up at the end of the café so that participants could see what issues had emerged most often and mark-out their priorities. 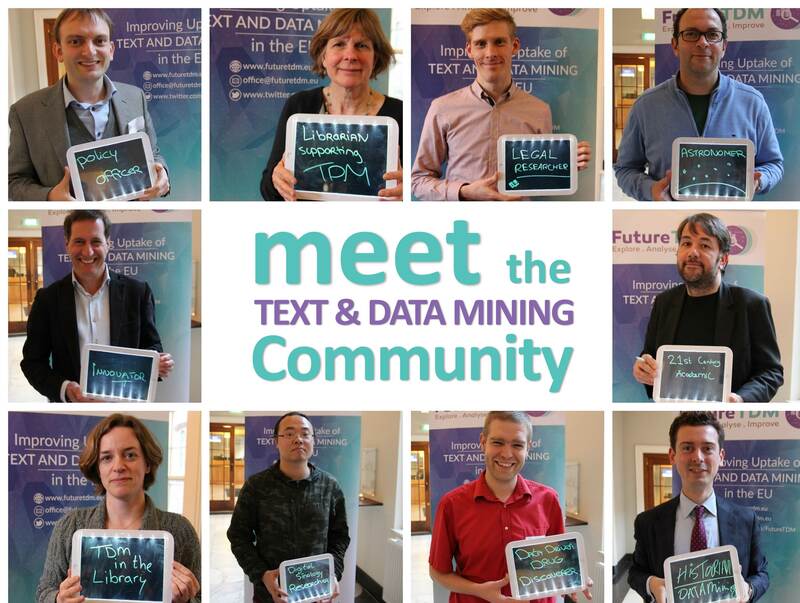 To show the breadth of the TDM field, we took a photo collage of the participants and their backgrounds We will continue to do this at all of our upcoming Knowledge Cafes where we will be speaking to the many actors involved in content mining including SMEs, publishers, librarians, and a host of others. We would like to thank Leiden University for being such fantastic venue hosts and look forward to the next cafés – we hope to see you there!